If you pick any 10 people at random off the street and ask them all whether they’d like to be rich, chances are all 10 will say yes. But if you ask those same 10 people what they mean by “rich,” you’re likely to get 10 different answers. One person, perhaps, would say that a million dollars is enough to make you rich, while another would say that it takes 10 million. Still others would give answers that weren’t expressed in dollar terms at all. They’d say that wealth means having a big house, a boat, and a private jet – or maybe just a comfortable home and good health insurance. But the truth is, we don’t all know what “rich” means, because it means different things to different people. And if becoming wealthy is one of your personal financial goals, it’s important to think about exactly what wealth means to you. You need to have a clear idea of what your dream of wealth looks like – what kind of rich person you want to be – before you can come up with a plan to make that dream a reality. When Americans talk about being wealthy, they often focus on having a high income. For example, during the Occupy Wall Street demonstrations, protesters adopted the rallying cry, “We are the 99%” – setting themselves aside from the top 1% of earners who, according to the Economic Policy Institute (EPI), brought home an average of $1.3 million in 2012. That’s nearly 30 times as much as the average income of the remaining 99% of Americans, so branding this group as outrageously rich doesn’t seem, at first, like much of a stretch. However, there are a few problems with this definition of wealth. First of all, the average income for the top 1% is skewed upward by the even smaller percentage who make extremely high incomes, amounting to tens of millions per year. The income threshold for the top 1% – the amount of income you need to make to be part of this group – is a much lower $385,195, according to the EPI. Admittedly, that’s still quite a lot compared to the $43,713 that’s the average income for the rest of the American population. However, this figure is for the entire country – in specific states, the earnings of the top 1% can be much higher or much lower. In Arkansas, for instance, anyone with an income of more than $228,298 is part of the state’s top 1%, while in Connecticut, the cutoff is $677,608. This goes a long way toward explaining why you see many arguments regarding how much income it takes to be really rich. For instance, in 2010, when President Obama proposed raising taxes on families with incomes greater than $250,000, The Fiscal Times argued that in many parts of the country, a family of four would actually have a hard time making ends meet on that income. Between taxes, housing, food, transportation, childcare and education costs, and other incidentals, the family would never be able to afford luxuries like private schools, a vacation home, a country club membership, or designer clothes – in other words, the lifestyle that most people associate with the word “rich.” Eventually, the president and Congress settled on a deal that raised taxes only on families with incomes greater than $450,000, effectively setting that as the new bar for what it takes to be rich in America. However, simply adjusting the cutoff doesn’t address the biggest problem with using income to define wealth: If you have a high income and spend every penny of it, you end up with nothing at all in savings. That means that if you suddenly lose the job that’s providing you with all that income, you become broke overnight, with nothing left to live on. Being in a precarious position like this, where a single change could take you from a comfortable life to the edge of bankruptcy, isn’t most people’s idea of wealth. Wealthy investors – those with a net worth of $5 million or more – tend to agree that income isn’t the best way to define how rich a person is. In a survey of more than 1,100 such investors by Spectrem Group, only 6% of respondents defined “rich” in terms of a person’s current income. 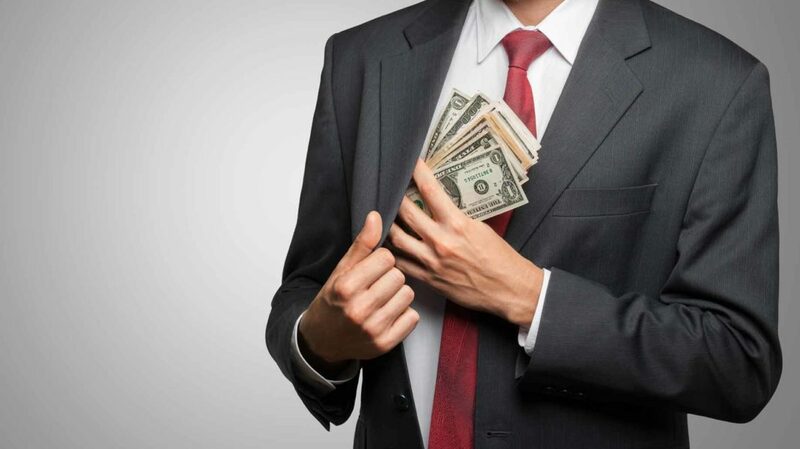 Instead, a majority said that the definition of “rich” should hinge on a person’s net worth – the total of all that person’s financial assets, minus the person’s outstanding debts. However, while wealthy investors agree that it’s possible to define wealth in terms of a specific dollar figure, they disagree widely on just what that figure should be. When Spectrem asked investors exactly how much money it takes to make a person rich, they gave answers ranging from $1 million to more than $5 million. And other studies of investors show that even those who have achieved these levels of wealth don’t necessarily think of themselves as rich – largely because their expectations expand along with their income. Economists generally agree with the investors in the Spectrem survey that net worth is the best way to define wealth. However, they emphasize that net worth isn’t just about what you own – it’s also about what you owe. To calculate your net worth, you add up all your assets – money in the bank, investments, your house, your car, and so on – and then subtract all your debts, from students loans, to unpaid back taxes. This means that a person with a very extravagant lifestyle – a huge house, several fancy cars, designer clothes, and lavish parties – isn’t necessarily rich in terms of net worth. If the house and the cars were all paid for with hefty loans, the person’s actual equity – the amount that belongs to the so-called owner – could be quite low. It could even be negative if the house or cars have fallen in value, leaving the buyer with an upside-down loan. The closet full of designer clothes, no matter how much they cost to buy, probably isn’t a significant asset, and a big party – even a really great one – isn’t an asset at all. By contrast, a person whose lifestyle appears to be modest can actually have a sizable net worth. The classic example is investor Warren Buffett. 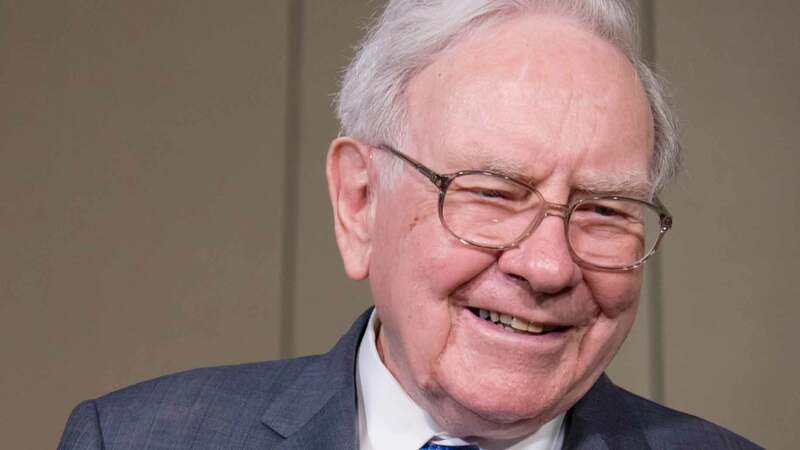 Although his net worth of over $60 billion makes him one of the richest people on the planet, Investopedia reports that he still lives in the same Omaha house he bought for $31,500 back in 1958. He scorns luxury cars, and he celebrated his second marriage in 2006 in a 15-minute private ceremony at his daughter’s home. Even though investors widely agree that net worth is the best measure of wealth, they often don’t see themselves as wealthy even when their net worth measures in the millions. A 2013 report from the wealth-management firm UBS found that only 28% of investors with a net worth between $1 million and $5 million answered “yes” to the question, “Do you consider yourself wealthy?” Even among investors with more than $5 million, only 60% gave a positive answer. When asked what it would actually take to make them wealthy, these investors gave varying answers. About 16% defined wealth in terms of a specific level of net worth – a level most of them, presumably, don’t think they’ve reached yet. However, the most common answer by far was that wealth means having “no financial constraints on activities.” In other words, these multimillionaire investors don’t consider themselves to be rich because they can’t afford to do literally everything they want. According to this definition, how rich you are doesn’t depend just on how much money you have – it also depends on what you want to do. If you just want a modest, comfortable lifestyle like Warren Buffett’s, you don’t need anywhere near the net worth of Warren Buffett to achieve it. By contrast, if you want the glamorous life of Buffett’s fellow billionaire Donald Trump, you’d better have a Trump-sized fortune to back it up. 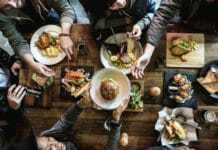 Another reason people with more than $1 million in net worth don’t always see themselves as wealthy is that all the people they hang out with have just as much money – or more. According to the net worth calculator at Shnugi Personal Finance, which is based on data from the Federal Reserve, these millionaires are wealthier than 90% of all Americans. And according to the Global Rich List, they’re even wealthier on a global scale, with more money than 99.44% of all the people in the world. So when it comes to net worth, the answer to the question, “How much makes you rich?” appears to be another question: “Compared to whom?” To be among the richest 1% in the entire world takes only $770,000 in net worth (as opposed to income); to be in the richest 1% in the USA takes closer to $8 million in net worth. But as long as you keep looking up rather than down – comparing yourself to the Warren Buffets of the world – then wealth will always seem to be somewhere out of reach. In other words, while $1 million or more can make you rich compared to most people, there’s no specific number that can make you feel rich. If defining “rich” in terms of a specific dollar amount – either for income or for net worth – doesn’t really work, maybe it makes more sense to define it in terms of lifestyle. That’s what The Washington Post did in 2012, when multimillionaire Mitt Romney was running for president. It claimed that even those who mocked Romney as a clueless rich guy who didn’t understand the problems of everyday Americans secretly wanted to have the kind of life he has, complete with a big house, a bunch of fancy cars, and a garage with an elevator to move those cars around. As it turns out, though, many people – including people with high net worth – don’t think of a rich person’s lifestyle in those terms. Most wealthy investors polled by Spectrem Group in 2014 said they didn’t own a boat, didn’t buy more than $10,000 worth of jewelry in a year, and had never spent more than $50,000 on a car. The only luxury a majority of the respondents admitted to enjoying was expensive vacations, with 60% of them spending at least $10,000 a year on travel. Obviously, there are some wealthy people – the Donald Trump types – who do like to live a flashy lifestyle, with the finest clothes, cars, and food money can buy. But there are others – the Warren Buffett types – who prefer to focus on other, less tangible benefits of wealth. Security. When Spectrem asked wealthy investors what it means to be rich in America, the most popular answer by far – chosen by 80% of respondents – was “more security.” People who are struggling financially spend every penny they make – or possibly even more – just paying their day-to-day bills, and a single major disaster – such as a car crash or a serious health problem – could easily drive them into bankruptcy. Wealthy people, by contrast, can feel confident about handling anything from a house fire to a prolonged job loss. Comfort. In the 2013 UBS survey, 10% of investors said their idea of wealth was “ensuring a comfortable lifestyle” – not just for themselves, but also for future generations of their family. Instead of the glamorous life of a Trump, they aspire to the comfortable lifestyle of a Buffett, with simple pleasures like TV sports and homemade meals. Freedom. Perhaps the broadest possible definition of wealth is the one expressed in “The One Minute Millionaire,” by Mark Victor Hansen and Robert G. Allen: “Wealth is Freedom.” This is probably the idea of wealth that the investors in the UBS survey had in mind when they said wealth meant having “no financial constraints on activities.” Being rich means having the freedom to do just as you like – to work at a job you love without having to worry about how much it pays, or to give up work completely to pursue some other interest without needing to make a living at it. It appears that, for the millionaires surveyed by UBS and Spectrem, wealth isn’t just about how much money you have, or even about what you do with it. Income, net worth, and lifestyle are all ways of measuring wealth, but they aren’t the essence of wealth. The real point of wealth is the freedom it can bring you. Wealth means being able to spend your days the way you choose, rather than working to earn more money or worrying about how much you have already. Looked at in this way, wealth means life satisfaction – the ability to live the kind of life that makes you happy. The most important thing about this kind of wealth is that you don’t have to be a millionaire to achieve it – rather, you only have to have enough to meet your personal needs. If you can live a life that satisfies you on an income of just $15,000 a year, then $15,000 a year is all it takes to make you rich. For some people, perhaps, the whole process of making money, investing money, and keeping track of how much they have turns into an end in itself. They get so absorbed in it that they lose sight of the real purpose of wealth, which is to bring you satisfaction. One rich person who clearly hasn’t fallen into this trap is – once again – Warren Buffet, who once said in an interview that “the ultimate luxury [is] really getting to do what you love to do everyday.” In other words, you don’t have to be a millionaire to be rich – you just have to be living the life that you choose. As you can see, wealth has many different meanings. So if you aspire to be rich, you need to start by figuring out just what “rich” means to you. Once you know that, you can figure out the best way to work toward that goal. If your ideal of wealth is to bring in a specific amount of income, you can look for jobs that bring in that amount of income, and then determine what you need to do to qualify for those jobs. You can also look at ways to bring in additional income through investments or by starting a side business. If your object is to have a specific level of net worth, start crunching some numbers – figure out how much you need to save each month, and how much you need to earn on your investments, to reach that goal in a specific time. If your dream is to live the lifestyle of a rich person, think about what aspects of that life appeal to you most. Home in on what specific trappings of wealth you want – owning a big house or a boat, dressing in high-fashion clothes, or being able to spend months traveling around the world. Then start searching for information on how you can live that dream on a reasonable personal budget. Clothes, travel, and even houses can be yours for less if you know where to look. 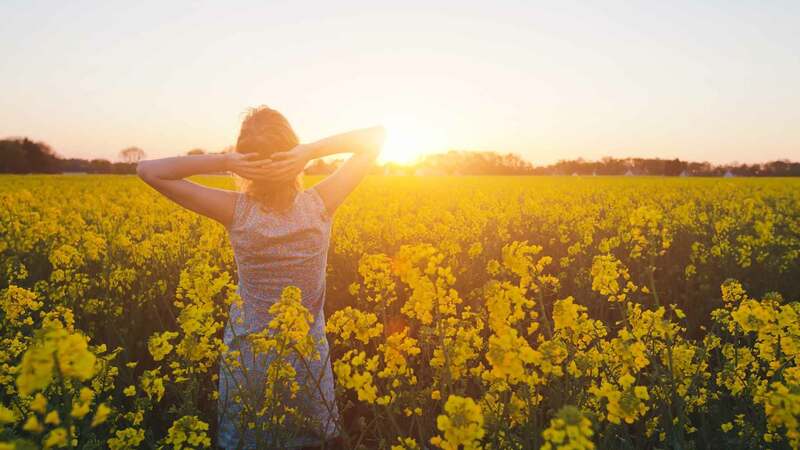 Finally, if your dream of wealth is a dream of freedom – of living the life that really matters to you, free from worries about money – then start by figuring out just what your ideal life looks like. For example, if you have a dream job, but it doesn’t bring in much money, maybe you can still have that job if you can just figure out a way to cut your living expenses down to a bare-bones level. Perhaps for you, living a truly rich life means spending less, not more. What does your dream of wealth look like?